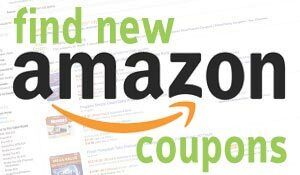 Epica 2X-Thick Luxury Spa Bath Pillow, SuperGrip Suction Cups is now available at Amazon.com for just $12.50 (REG $29.95) (As of 12 February 2019, 18:30 PST – Details) with $17.45 (58%) Savings. 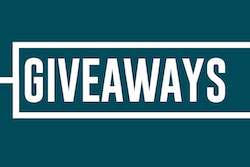 OUR “REST EASY” 10-YEAR COMFORT GUARANTEE: You can rest easy that you’re buying the best bath pillow on the market. 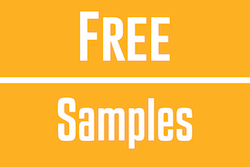 If you don’t believe us after buying, simply contact us. We’ll give you your money back NOTE: This pillow is not designed to grip onto textured surfaces. Go ahead and pour in the Epsom salts. 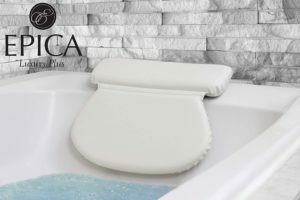 Epica 2X luxury spa bath pillows are designed specifically to provide the most comfortable, relaxing bathing experience. That means going beyond your average bath pillow. 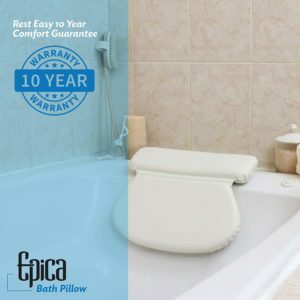 Epica spa bath pillows were manufactured to stay rooted to their place while supporting your neck and head with deep comfort. Through extensive design research, the team at Epica redefined the typical bath pillow. 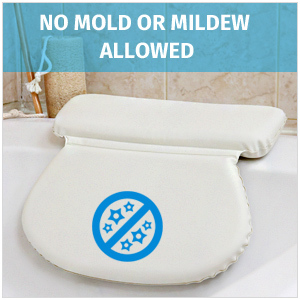 The result: a completely water proof, completely durable, completely stress proof bath pillow. A big problem with most bath pillows were that they weren’t really pillows. Inflatables felt like you were resting your head on an air mattress, and cloth bath pillows don’t dry fast enough to be used often. 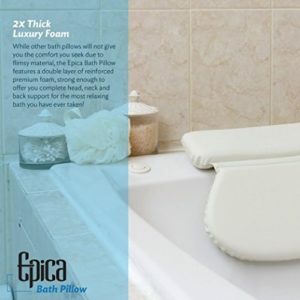 Epica’s patented double-thick padding is twice as thick as typical bath pillows. 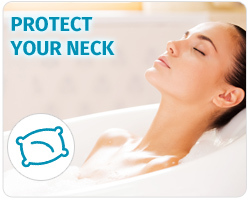 This lets you feel like your head and shoulders actually sink into comfort. 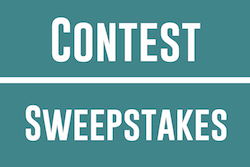 Another complaint we saw about supposed “spa” bath pillows was that the suction could be a lot better, resulting in pillows slipping or falling into the bath. 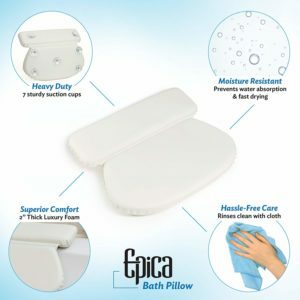 Epica designed its premium spa bath pillow for staying rooted to baths. 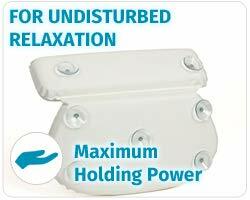 Our seven thick and powerful suction cups are strategically placed to make sure you never have to think about them. Epica’s ultra-soft and waterproof construction keeps mildew out. While fabric and inflatable pillows collect mildew around the edges or even inside, Epica’s unique design blocks any fluids from reaching the foam padding while still allowing for breathability to prevent heat build-up. Whether for pain management or sanity management, a good bath can leave you feeling better than ever. Epica’s cushy 14”x12.5” bath spa pillow cover is sleek and heavenly to sink into. Waterproof and made to last, just fill the tub, light the candles, and let your mind wander. Epica is a small company obsessed with comfort: how to make it, how to improve it, and how to get it to you. Our research and development creates better ways to get you ready for the day, so you can take your golden moments as they come.